The Uptown Wadesboro Visitor Shopping Guide is available for downloading in pdf format (below) or you can pick up a copy at the Anson County Visitors Center located at the Chamber offices at 107 E. Wade Street, Wadesboro NC 28170, 704-694-4181. The Destination Anson County brochure is available for downloading in pdf format (below) or you can pick up a copy at the Anson County Chamber offices located at 107 E. Wade Street, Wadesboro NC 28170, 704-694-4181. Grant funding may be available through Uptown Wadesboro, Inc. for renovations to the facade of an Uptown Wadesboro building or for interior renovation projects in Uptown Wadesboro. More information about these grants can be found at Renovation Grants. Individuals, businesses, churches, organizations or others may purchase laser-engraved brick pavers to be installed on the sidewalks of uptown Wadesboro. You may request a specific location (although it cannot be guaranteed). You may pick up the form at the UWI office or download the form using the pdf file below. 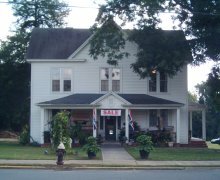 A self-guided walking tour of historical Uptown Wadesboro offered by the Anson County Historical Society is available for $5 at the Chamber offices at 107 E. Wade Street or at the Historical Society office at 206 E. Wade Street (please call ahead). 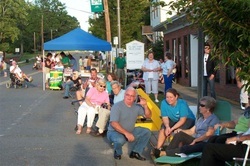 More details and directions at www.AnsonCounty.org/. Presented by the Anson County Chamber of Commerce. Entry fee: $40 ($35 if you register before Sept. 25, 2015).